An oldie but a goodie, Mexican restaurant La Cholita has been standing strong as one of Northbridge's best restaurants since 2012, and with restaurants popping up left, right and centre in Perth, you know these guys must be doing something right to keep our interest for so many years. Funnily enough, the team here aren’t changing the menu up every week or doing crazy drinks just for the heck of it. 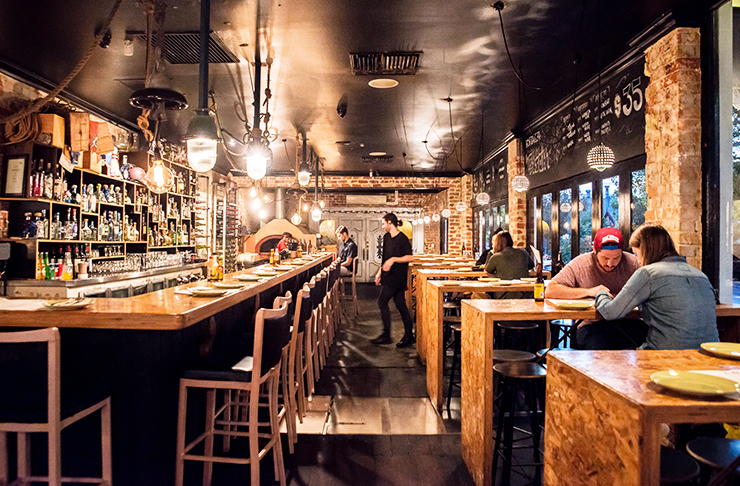 No, the appeal of La Cholita is that you can rely on them to dish up some of the best Mexican in Perth every.single.time you walk through those doors. The guac with crispy flour tortilla chips is an absolute no brainer when it comes to starters. I mean, if you don’t get the guac, did you really go to a Mexican restaurant? But if you want to expand your repertoire, the Mexican street corn is perfectly juicy and the spicy duck taquitos are the bomb. Once you’re done with starters, you’ll need to get some tacos. The Baja fish taco is always a winner, but it’s the slow cooked pork served with pineapple that will really win your heart (and that’s coming from someone who is morally opposed to pineapple in savoury dishes!) There’s also a vego option and plenty of others (there are nine different flavour combos on their menu) so everyone will be happy—especially when you see they start at $5! After this, depending on how hungry you are, you can dig into a quesadilla or two (the chorizo one is epic) or you can move straight to the wood grilled Angus beef with chimichurri. Cooked to absolute perfection and topped with some of the best chimichurri you’ll find in Perth, you’ll want to get in quick if you’re sharing or you might just miss out. If you’re lucky enough to be there with a group, you can order another bigger dish or two. Maybe the whole market fish or the crispy pork belly? But whatever you do, save room for dessert. There are two options for dessert and they are both just as drool worthy as each other. If you can really only get one, go for the dulce de leche chimichanga for the novelty factor alone. It’s basically a sweet burrito—ice cream and dulce de leche encased in a sweet tortilla—and it is ahhhmazing. If you’re up for the challenge of two desserts (and really, why shouldn’t you be? ), the gluten free chocolate ancho torte is warm and rich with an almost mousse-like consistency, but way better. 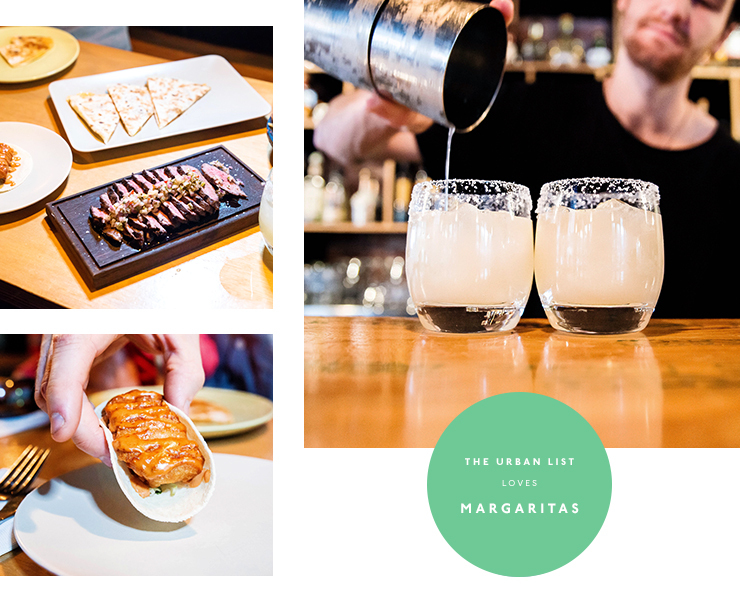 As if all that food wasn’t enough to get you there, La Cholita is also pouring some of the best margaritas in Perth, and they’ll even do a jar for two, because sharing drinks is always more fun. There are plenty of other cocktails, as well as sangria, some very good vino and plenty of cerveza. Oh, and if you happen to be in the Northbridge area at lunch time, these guys do a mean lunch special. With burritos, taco salad bowls or nachos ranging from $10 to $12.50, it’s cheaper than your local Mexican takeaway joint! Want to know the location, opening hours and all the details? Find La Cholita in the directory.